Classic french hook earring in a vintage design. Perfect for a classic look. 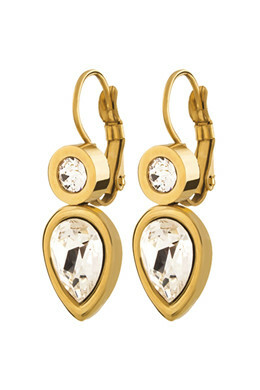 Shown here in a gold toned finish with clear crystals from Swarovski.